I forgot to mention before, that one of the neat bits of research here for lovers of one piece cranks, is that Sodbuster found THUN opc's were an ashtabula product. 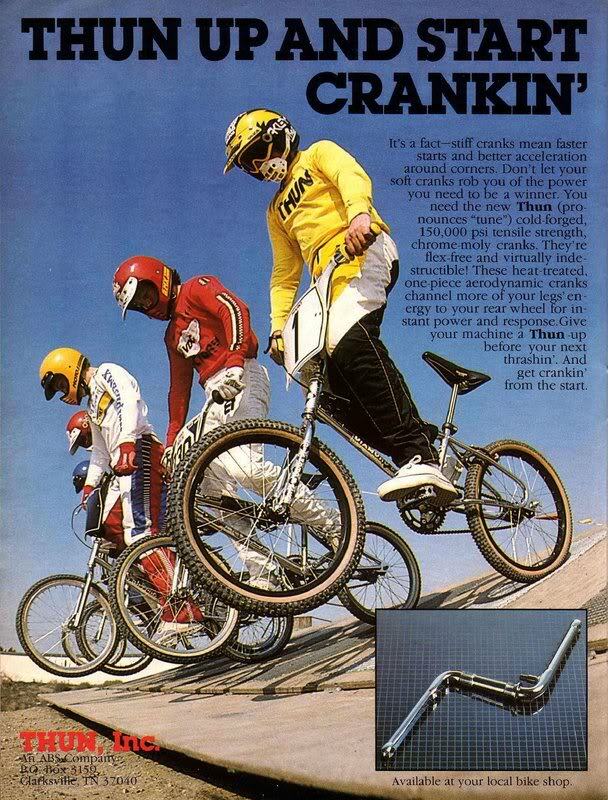 I'm sure I'm not the only guy saving important BMX reference documentation here. A is for Ashtabula. A is for an awesome job too, Brian! Thanks for the hard work, time and share... same for you Mr. Brothers, your hard work isn't going unnoticed either. BUMP!! Just because I think you should have another look. wow , i had no idea . crazy ! 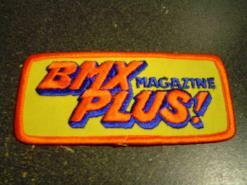 this will be going to the University of BMX section of the site a little later. Just a general notice. Thanks again, Professor Sodbuster, for this highly venerable research. Hey Steve I think sometime after the June show when things calm down we should get together and add the research links to this. 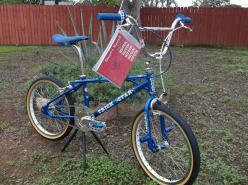 Then move it to the U of BMX section like we discussed. It was in the U of BMX section for a while... but I took it out so some non-site supporters could read it, take notes, and then go to other sites and drop science like they'd done the research themselves. Cite the scholar, Sodbuster, when you bite his research! No skin off my nose just as long as they get it right! Which is the whole point. Really awesome. I was walking through a metal scrapyard, picked a set of cranks off the ground and started rattling off tidbits from your article for the owner and bystanders. He was dumbfounded. Printed it for my records. This is such a cool read. Anyone that hasn't read this already really should. FYI I had a frame blasted (mid school Redline) and they coated it in a Zinc finish that looks exactly the same only it was an olive green colour? Was this the same thing? It had the "sparkles" in the finish too. I was wondering if they could make it black? Damn! That's the way these things should be done. Great history lesson. Had another read...now off to the shop for some oiling and date stamp decoding! Winner's Circle evolving into ODI is another one of those little tid bits many may not have caught bitd. great read here...thanks for the link Sod! your research efforts are much appreciated. I love this article for the great info and because it blows a few myths out of the water with real knowledge.